We’re 1 week out from Christmas! 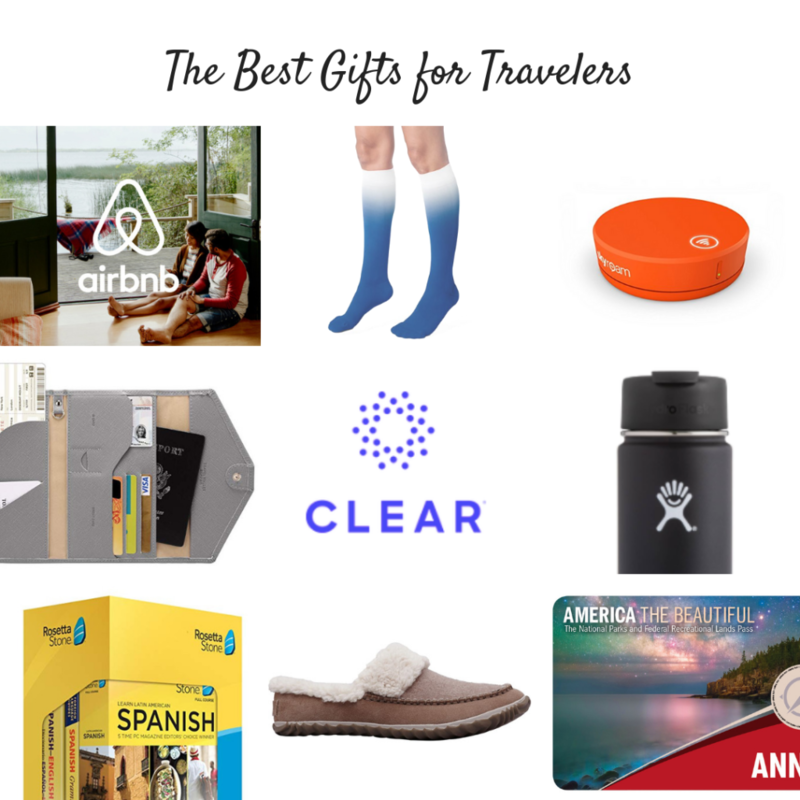 You may be scrambling to find that perfect present for everyone on your list and I’ll admit that travelers can be difficult to find gifts for. Whatever type of traveler is on your list, hopefully, you can find something on here or last year’s traveler gift guide for your world wanderer. If you have an outdoorsy traveler on your list who enjoys exploring the National Parks, I’m sure they’ll enjoy this annual pass rather than paying $25-$30 for each visit. This one is for the adventure travelers out there. We have the Hero 6 (before the 7 came out) and take it on absolutely every trip. It’s honestly a bit pricey but I feel like it’s been so worth it to be able to take it everywhere. It’s surprisingly durable and the 7 is even waterproof (so yes, you can get footage of your underwater adventures!). You could get an older model so it’s cheaper BUT this is one of those things that you want to have the latest model because they improve each one drastically. It’d be like getting an iPhone 7 when the 10 is out. This is the best travel wallet I’ve seen out there and trust me when I say I’ve scoured the internet! I’m also picky so you can trust that if I mention something, it’s good and this wallet is good. I like that it’s got the RFID blocking built in, it can hold your boarding passes, cash, passport, and cards all organized neatly. And hey, it’s pretty cheap which is nice too! Having a good cable organizer is key and will eliminate a lot of stress if you’re not pulling a handful of cables from your bag trying to figure out which one goes to what. That stresses me out even thinking about it! You’ve probably noticed that the travelers in your life like to share their travel photos. They usually do this online somewhere on social media and also keep a hard drive full of photos fro their trips but it’s also so nice to have your photos printed and out in real life. This company makes creating a photo book so easy and the quality is superb. We have a couple in our home and love them as coffee table books. Having a water bottle handy and staying hydrated is important during travel. It also saves a good bit of money rather than buying a bottle often. I’m recently obsessed with these water bottles and again, I’m picky so you know it’s a good one. This is a fail-safe idea because pretty much every traveler uses or could use Airbnb. If your traveler wants to be immersed in a culture they may love to learn a new language. It’s definitely on my list! I love having the comfort of nice slippers wherever we are. These are fantastic quality and can easily be packed in a carry on suitcase. These days, being connected to wifi is important (especially if you’re a remote worker like us!). We try to always book lodging that has WiFi but that can’t always be guaranteed and sometimes you may be in a location that doesn’t have it sooo this little gadget to the rescue! It allows you to travel the world with super fast mobile WiFi connectivity and power for your gadgets. CLEAR has made getting through airport security so much easier for us with WAY less hassle and it saves us time. It uses biometrics like your eyes and fingertips, instead of traditional ID documents. We love it and personally combine it with TSA Precheck as well which means we usually get through security in 5 min or less (#winning). Just make sure they have it at your traveler’s main airport first. Get it HERE or if you want to try it first, you can use my referral code to get 2 months free to try it out for yourself. $180 plus $50 to add a family member. If you’re on long flights, compression socks can help prevent blot clots. It’s difficult to find compression socks that actually look good too but I recently discovered this company that does them well and these are now on my list too. I’m not a big fan of subscription boxes because as fun as they are in the moment it seems like they can be a waste of money but this is a box I can get behind. It’s a curated selection of gourmet foods from around the world that’s sent to you every month. Know their favorite place? Get it as a foil pressed art print! This is such a unique gift. Alright, there are a ton of travel pillows to choose from and everyone likes different ones but I’ve heard a lot of great things about this one from travelers I trust and who are picky like me too 🙂 I also like that this folds up small and can be put in your airplane tote rather than hanging off if you wanted. Thanks for reading and I hope this helps you out! 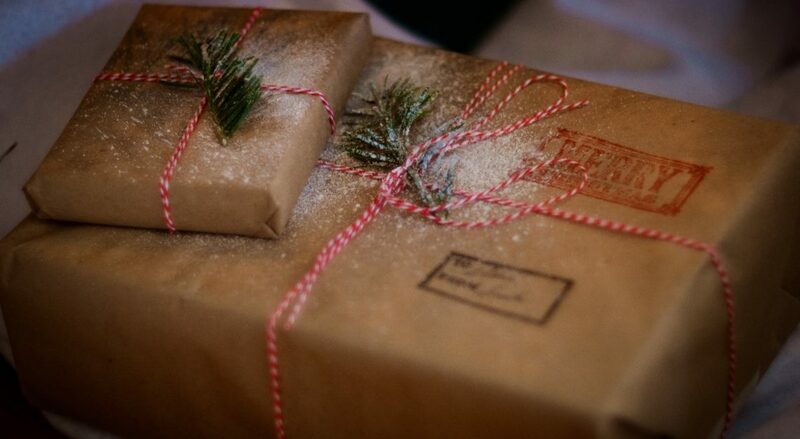 What are some of your favorite gift ideas for travelers or that you’ve received yourself?